MAKAYLA Tritton and her mum were minutes away from Christmas lunch with a car full of presents when they were hit and killed in yet another holiday horror crash. 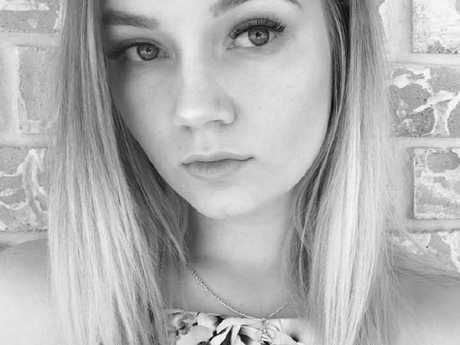 Hundreds have taken to Facebook to pay tribute to the 18-year-old girl and her mum Karin, who were hit by an out-of-control BMW in Brisbane's south west on Christmas Day. Makayla's 23-year-old sister Tarmeka and 55-year-old father Laurence were also travelling in the car but are expected to make a full recovery. Karin was rushed to Royal Brisbane and Women's Hospital but died on Christmas night. On Facebook, family friend Lyn Fletcher wrote: "Makayla, so beautiful, always running away when you saw me coming with my camera, but then realising I wasn't going to give up until you let me capture that beautiful smile. It is just so unfair that you were taken so young ... just when you had so much to look forward to ... There was no one who didn't love you. "Karin, you were one incredible mum to your two gorgeous girls and also loved by so many. I struggle to think how just two days ago I said hello to you at the shops and had no idea it would be the last time I would see you," she added. Makayla was a keen bowler and her and her family were well-loved in Queensland's tenpin bowling community. Speaking to the Courier Mail, a spokesman for Strathpine Hyperbowl, where Makayla worked, said she was "the golden child". "Makayla was the golden child to all of us here and always will be. We loved her with all our hearts and always will," he said. "As for Karin she was no different. Never a dull moment one way or the other as was the Tritton family in whole." The 46-year-old man behind the wheel of the BMW is also expected to make a full recovery and has been charged with one count each of dangerous operation of a vehicle causing death and dangerous operation of a vehicle causing grievous bodily harm. He remains in Princess Alexandra Hospital and will appear in Wynnum Magistrates Court on January 15. Emergency services broke down during a news conference on Boxing Day, describing it as "one of the most traumatic scenes" they had attended. 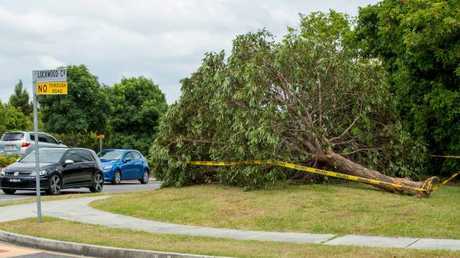 Relatives expecting the family at lunch were told the news when Senior Sergeant Lukia Serafim answered one of the mobile phones at the scene. "As a wife and parent, outside of being a police officer, it was very, very difficult when we were doing CPR on the deceased," she said. "It does affect police in a way that we do take it home and I really reach out to the father and offer our condolences." 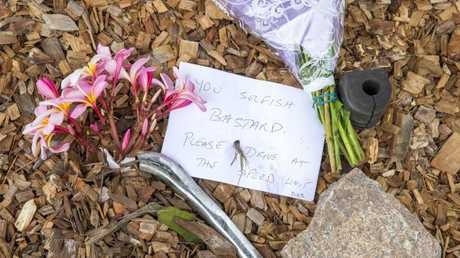 The Tritton family tragedy is yet another multi-fatality crash police have added to the "appalling" holiday road toll for 2017. On Boxing Day, at about 10.45am, three people were killed and two women seriously injured following a crash on the Princes Highway near Sussex Inlet on the NSW South Coast. The women were flown to Liverpool and St George hospitals, where they remain in a critical condition. Yesterday's crash means 20 people have died on NSW roads since December 15, compared to seven last year. Assistant Commissioner Michael Corboy told AAP the Sussex Inlet deaths left police angry. "We have gone from disappointed to being angry and that's an understatement," he said. "It has actually strengthened our resolve and we will be putting in place more and more police officers from now until the end of the year." Operation Safe Arrival, a program launched by NSW Police on December 15 to encourage people to drive safely, ends at 11.59pm on January 1. Two other people died in separate Boxing Day crashes in NSW after a 43-year-old man crashed into a parked semi-trailer in Emu Plains while another man crashed into an embankment near Port Macquarie. NSW has had 383 fatalities on its roads in 2017, the worst in the nation. In Victoria, the state's road toll stands at 252 for 2017 after four people were killed from December 24 to 26. 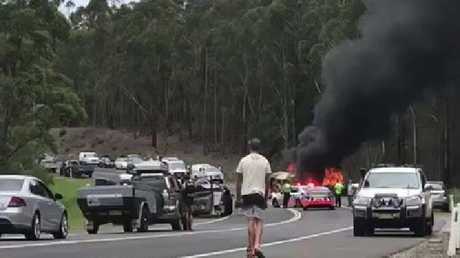 A man in Birregurra was killed after the Ford Telstar he was driving collided with a Toyota Altise. A female passenger in the Toyota was flown to hospital. And on Christmas Eve, three people were killed in a fiery high-speed crash in Point Cook. 242 people have been killed on Queensland's roads in 2017 and Queensland Police are investigating the death of a woman found on a road northwest of Brisbane on Christmas night. It is believed she was killed by a passing car. Police are urging anyone travelling on the New England Highway at Yarraman between 11pm and 11.40pm on Christmas night to come forward. Since December 23, two people have been killed and 98 injured on Queensland roads. A further 275 drivers have returned positive tests for drug or drink driving over the Christmas period. Western Australia has had 153 deaths on its roads this year, Northern Territory, 30 and South Australia 98.